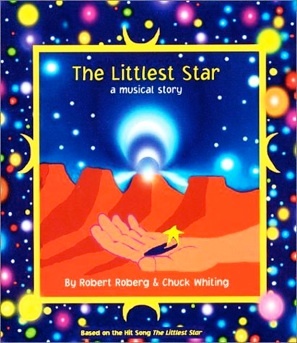 Based on a song heard around the world, “The Littlest Star: a musical story” contains full-color illustrations by Smithsonian-exhibited artist Robert Roberg. The collector's autographed edition (first printing), which is available at a special discount through Shine Time Records & Books, is co-written by Chuck Whiting. The hardcover picture book includes a complimentary CD featuring Margo Smith's radio-charting single, “The Littlest Star”, and bonus performances by Grammy-nominated jazz guitarist Denny Jiosa and Nashville Chamber violinist Conni Ellisor. For thousands of years, The Littlest Star remained in God's pocket, longing for the day when he would shine. Just when the little star gave up, turning his darkest shade of blue and crying his biggest tears, God sent him out on the most important mission in the Universe. SPECIAL PRICE: *The book and CD package, which originally retailed for $18.95, is on sale for $9.95, plus shipping and handling! To order at this special price, select the “Order” button below. Wordabulous! 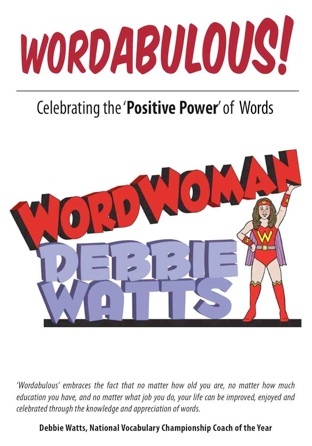 -- Celebrating the 'Positive Power' of Words (By Debbie Watts) shows individuals how life can be improved, enjoyed and celebrated through the knowledge and appreciation of words. Described as a fun-filled guide to a better vocabulary, the book provides the author's insights on words, some "words of wisdom", and chapters arranged in a "word-a-week" configuration. "The examples I have chosen to use in the book are strictly my own preference," said Watts, who was inspired to write “Wordabulous!” after being named the country's top vocabulary coach by the Game Show Network. "There is a larger world of words out there, and readers are encouraged to develop a vocabulary that will help make their own lives more successful, enjoyable, and in short, 'wordabulous'!" Watts is well prepared to take her message into the vocabulary stratosphere. She has served as a literacy coach for teachers for Sumner County Schools. For more than five years, she inspired teenagers as an award-winning middle school teacher at Merrol Hyde Magnet School in Hendersonville. She also taught at Dickson County High School for more than six years. Before that, she was a highly respected writer and producer of game shows for Reid-Land Productions and an acclaimed performer at Opryland theme park. Also a singer-songwriter-pianist, she regularly pitches songs to publishers on Nashville’s Music Row and has performed at the Loews Vanderbilt. SPECIAL PRICE: *The book, which originally retailed for $9.95, is on sale for $7.95, plus shipping and handling! To order at this special price, select the “Order” button below.